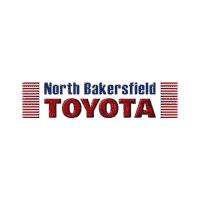 North Bakersfield Toyota Finance Center has the latest Toyota offers and incentives for Toyota financing and Toyota Lease offers. We also work with a variety of lending sources to offer car loans that are right for you. If you are looking for a New Toyota or pre-owned vehicle, we will help you get the best rate possible on your new or used car loan in Bakersfield. We can also show you ways to help protect your investment with a variety of financial products, that protect you from financial loss in case of an accident with total vehicle loss, mechanical breakdown or even theft. Once customers enter into a retail finance contract or lease agreement, they are responsible for paying the full amount of a vehicle’s monthly installment contract. In the event of a total loss, the auto insurance payout is usually based on fair market value, as determined by the insurance company. This amount is often less than the outstanding balance owed on the contract. With GAP, the difference between the balance on the contract and the insurance settlement is paid by the GAP provider, not the consumer. When a vehicle is declared a total loss, the primary auto insurance company pays the market value of the vehicle minus the auto insurance deductible (if applicable). This amount may be substantially less than the full balance due on the vehicle. GAP pays the difference between the balance on the retail or lease contract and the vehicle’s market value (less applicable exclusions). Without GAP, the customer is responsible for paying this amount. With GAP, the deficiency balance is paid, less any delinquent payments, taxes, and past due charges, and other excluded charges, including the auto insurance deductible in most states. GAP is available only at the time of vehicle purchase or lease. Life is unpredictable – good thing we have that covered. Find out what happens when the unexpected in life meets one of TFS’s Vehicle Service Agreements. We’ve all been subject to surprise car repair expenses and how they often arise at the worst times. A Toyota Vehicle Service Agreement (VSA) helps ensure you’re prepared. This VSA is backed by Toyota and protects your vehicle beyond Toyota’s basic factory warranty. Plans include repair by factory-trained technicians at authorized Toyota facilities and can also include roadside assistance. Take your Toyota to any participating Toyota dealer throughout the U.S. and Canada. Our service technicians use the latest diagnostic tools and parts. Select the coverage, deductible ($0 or $50) and terms (years/miles) to help meet your needs plus be able to transfer your plan’s remaining coverage to the next owner (nominal fee required). Towing, Substitute Transportation, and Travel Protection services are included so when the unexpected happens, we’ve got you covered. No more claim submitting because we pay the dealer directly. Make it easy to help keep your Toyota in tip-top shape. When you opt for a Toyota prepaid maintenance program, you’re protected from rising maintenance costs and assured of reliable service (with only genuine Toyota parts) by Toyota’s team of factory-trained technicians at participating Toyota facilities. When you want all the coverage of Classic and then some, opt for the extra benefits of Toyota Auto Care (TAC) Premium. Terms of one to four years are available and you can pick up Premium coverage at your participating Toyota dealer. To locate the participating Toyota dealer nearest you, use our dealer locator. At the prescribed Toyota service interval for your vehicle, your oil and filter will be changed in addition to a tire rotation and a 19-point inspection. Your major maintenance will occur at 15,000-mile, 30,000-mile, or 45,000-mile intervals, depending on your plan. Flat tire changes, jump starts and fluid delivery. Towing for mechanical breakdown and collision recovery. TAC Premium coverage also provides you with a convenient prepaid maintenance booklet, service reminders and a computerized service history to help you keep clear and accurate records.